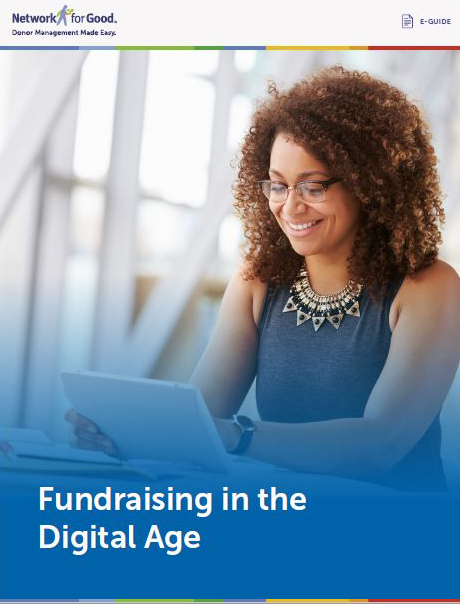 [eGuide] Embrace the digital age of fundraising! The modern fundraising landscape has gone digital and there’s no going back. Whether you’re new to digital fundraising or a seasoned pro, embracing the digital revolution adds value to your donor relationships and boosts engagement levels. Today’s donor is looking for a unique experience. Take personalization to a new level and achieve greater loyalty and increased popularity with donors. Incorporate the tools and methodology in this guide into your strategic communications plans to add that personal touch that makes your nonprofit stand out online. PLUS! Six essential digital tools sure to improve your donor's experience!